Kenneth W. Bradley is the Senior Vice President/Administrator at Winter Park Memorial Hospital, a 318-bed Florida Hospital. Bradley has more than 30 years of central Florida healthcare experience, including Campus CEO/COO of Florida Hospital Kissimmee and COO of Florida Hospital’s Celebration Health. Bradley’s professional roots are in human resources management. Bradley was born at Florida Hospital, as was his father Don Bradley, who served the organization for more than 50 years in numerous capacities before retiring. He was raised in Winter Park, Florida. Four generations of Bradleys have served Florida Hospital since 1922. The Bradley family, which includes Ken, his father and mother, his paternal grandparents, his wife Ruth, and his nephew Chris, collectively has over 170 years of service to the Hospital. Bradley is a community builder and civic leader. His civic and professional service includes elected and appointed office as well as volunteer leadership. He served two terms as the elected Mayor of Winter Park, Florida. Bradley was first elected in March 2009 and re-elected on January 31, 2012, with almost 72% of the vote. In 2016, Bradley was appointed by Florida Governor Rick Scott to serve on the University of Central Florida Board of Trustees. He also serves on the Wells Fargo Central Florida Community Bank Board. 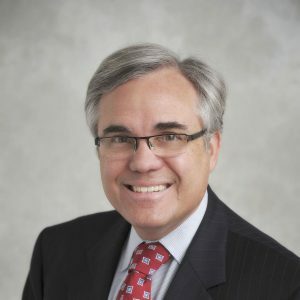 He has served on the Winter Park Library Board, and as a Board of Trustees member of the University of Central Florida Foundation and the Southwest Volusia Healthcare Corporation Board. He is a graduate of Leadership Florida, Class 25. Bradley was appointed by the State of Florida CFO to serve on the Florida Medical Malpractice Joint Underwriters Association. Previously, Bradley served as the Chairman of the Board/Winter Park Chamber of Commerce, Board Member/Heart of Florida United Way, and Chairman of the Board/Community Vision of Osceola County. He is a member of the Rotary Club of Winter Park, with 29 years of perfect attendance. Additionally, he is a member of the American College of Healthcare Executives. Bradley has received numerous awards including: University of Central Florida Business College Hall of Fame (2014), Adventist Health System’s Crystal Angel (2011), Winter Park Chamber Citizen of the Year (2010), and the Orlando Business Journal’s Central Florida’s Most Influential Businessmen award (2004 and 2010). Bradley is a 1985 graduate of the University of Central Florida with a Masters of Business Administration. In 1983, he graduated with a Bachelor of Arts degree from Southern Adventist University (formerly known as Southern College of Seventh-day Adventists) in Collegedale, Tennessee. He is dedicated to making his hospital, his city, and the people of Winter Park the very best they can be. Ken also enjoys traveling, playing golf, collecting miniature airplanes, and spending time with his beloved family.